Way out in the Florida Keys, about half way between Key Largo and Key West where Beel’s father once lived, is tiny Marathon, Florida, host city for the aptly named Marathon Seafood Festival. This year’s festival is next weekend, Saturday and Sunday 9-10 March 2013. The festival, which began in 1976, is now in its 37th year. 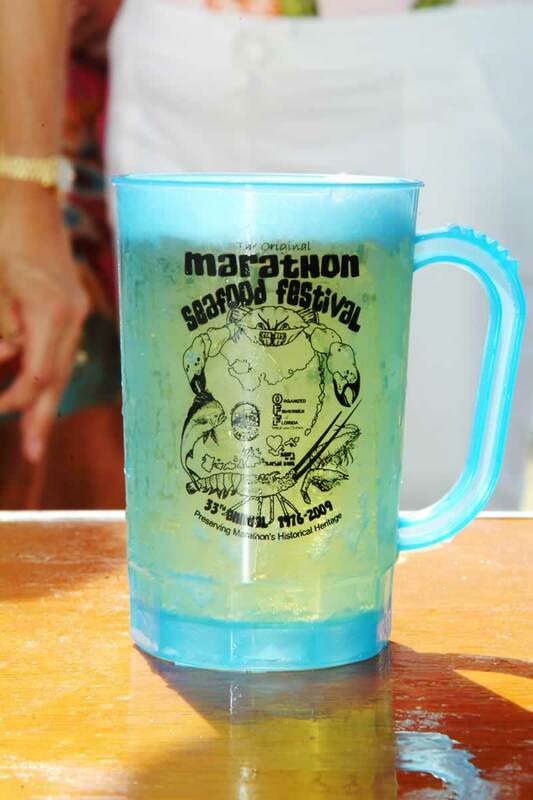 According to the event website, the festival began as a way for local Marathon and Middle Keys commercial fishermen and their families to “kick-back” and enjoy the fruits of their labor. 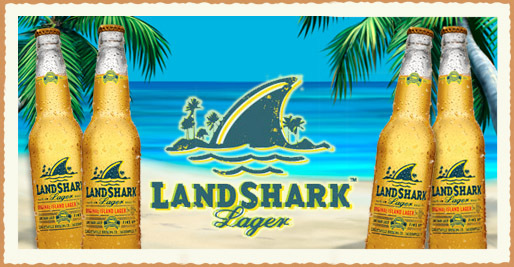 The festival began way back, even before Jimmy Buffet began brewing LandShark Lager. 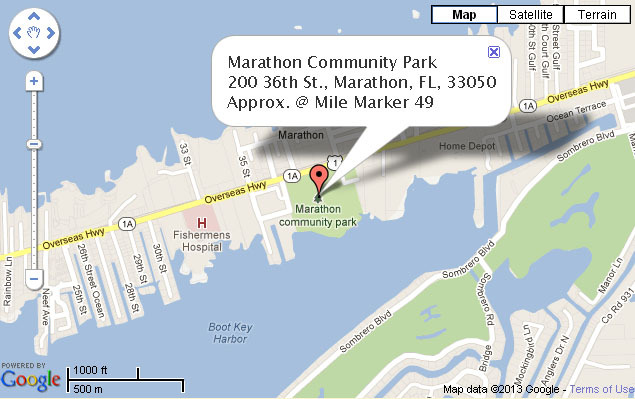 Marathon with a population of about 8,400, expects around 24,000 attendees. Local hotels presumably will be sold out, so Beel is thinking beach camp out. Woo hoo! Cool, says Beel. On Saturdays they stay open as needed. For band encores? To allow time for, shall we say, friskiness on the beach? What? The festival has an informative website, which had directions to the park at which the festival is held and information on lodging. The website also is happy to direct you to a crappy “Official Festival Program.” You can’t download the damn thing, which is in a Flash format. It is filled, and Beel means filled, with advertisements. For real estate, real estate, other stuff, and, did Beel mention it (? ), real estate. 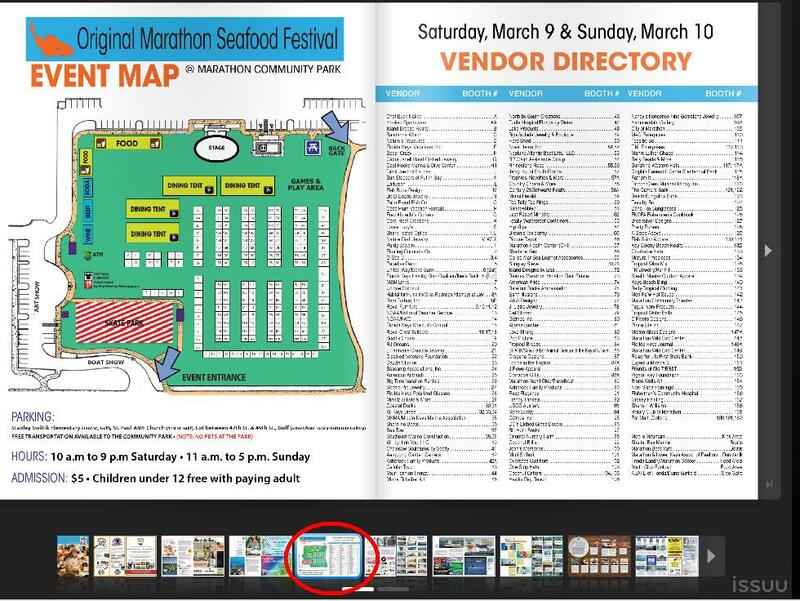 Click on the link to the program, look for the green thumbnail at bottom (circled in red above), and click on it. This takes you to the site layout and location of vendor booths, bypassing the crappola. 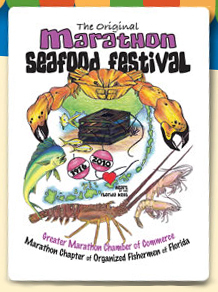 This entry was posted on March 3, 2013 by denstormer in Fish Festivals and tagged marine fish, USA.